We did quite a few things to prep LL for kindergarten. She is so much like me, and it really helps her to talk about things and be prepared. She does not like for us to spring things on her, and she just needs more time to process it all. 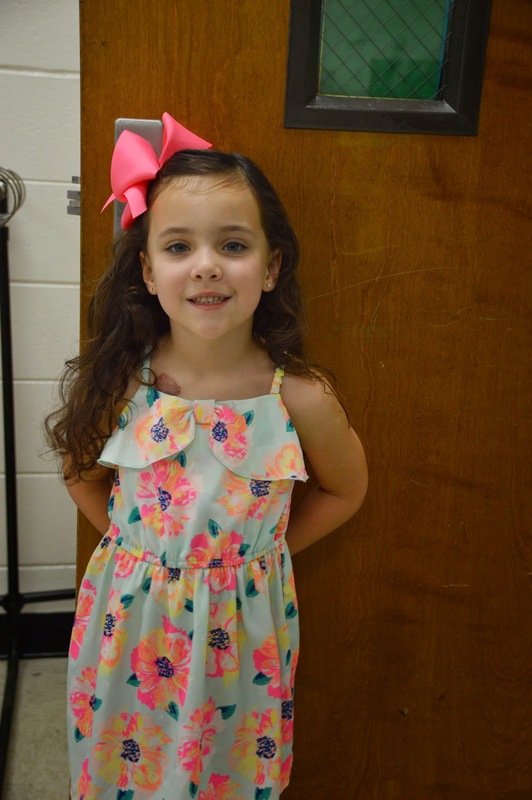 One of the things that we talked about doing was getting her hair trimmed before kindergarten. I've trimmed it a few times at home, but she's never had it professionally done. We didn't want to take off any length or anything; we just wanted it shaped up and healthy. She's seen Cooper get his hair cut several times, to she knew what to expect and that it wouldn't hurt. She got a little nervous when we pulled in the parking lot, but she ended up doing great! I also got some "back to school" cupcakes when I did my monthly grocery shopping at the beginning of August. That was something the kids loved having as dessert every night and helped to pump her up some. Ben also started kindergarten the week before LL did (check out my SUPER HANDSOME nephew! He's looking so big!!! ), and it really helped for her to see pictures of him riding the bus and talking to him about how excited he was. 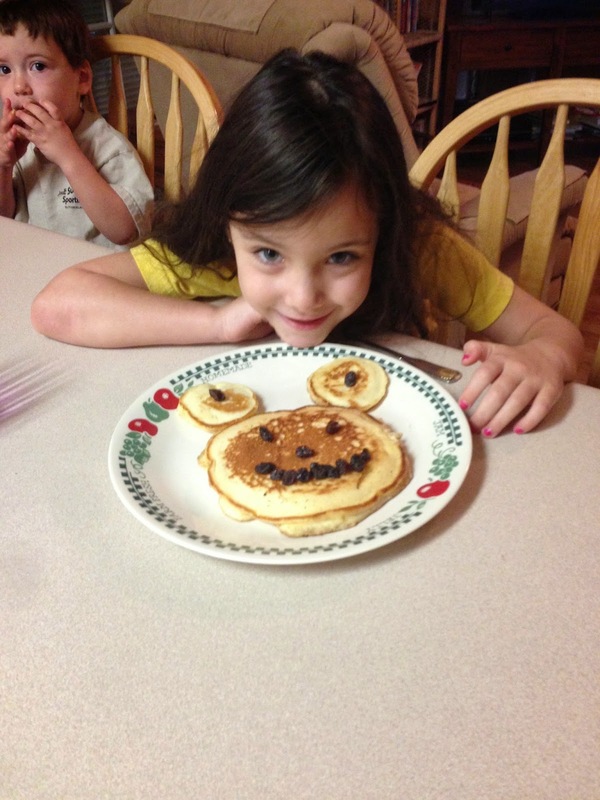 Grammy and Pop made her special pancakes for breakfast to celebrate the end of summer! 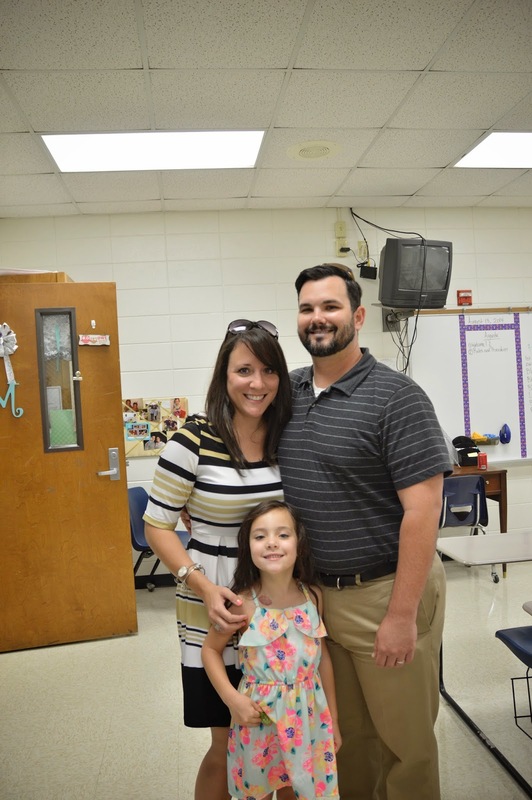 Two nights before school started, LL had her open house for kindergarten. She was actually really excited to see her teacher and her classroom. I drove her to her school several times over the summer so that she could see what it looked like, see the playground (that really helped! ), etc. I think it helped that she had an idea of what kindergarten looked like in her head. Daddy got her ready and we met at my school (I had open house the same night for my middle schoolers! ), and we all rode together to LL's open house. I wish I had gotten a better picture of her and her teacher (Miss Allison), but things were kind of crazy with all the kids and parents. I did happen to catch this moment: Miss Allison had just told her that she had been praying for all of her students and that LL was in her class because that's exactly where God wanted her to be. LL just gave her a huge hug. How awesome is that? I agree with her completely - LL is in the exact right class for her! Up next: the big day! LL's first day of kindergarten! I'm finally catching up,on blog reading. I love her teacher! I don't know her, but she sounds amazing!